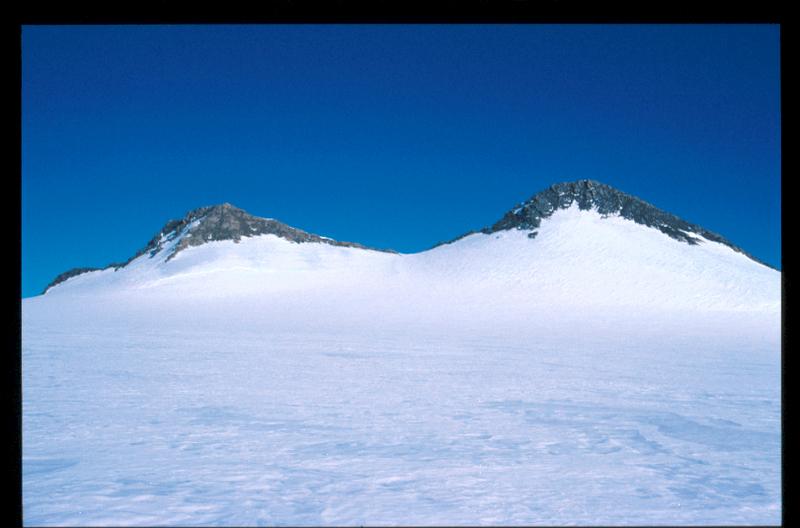 How to get there: These small summits are located south of Gog directly above (west of) the Gregory Glacier. Route description: This is a straightforward climb by skies to the col between the two summits, then an easy scramble. Comments: The south summit is the higher one, the north summit is 2360 m.
Louise Toppene as seen from Base Camp II.